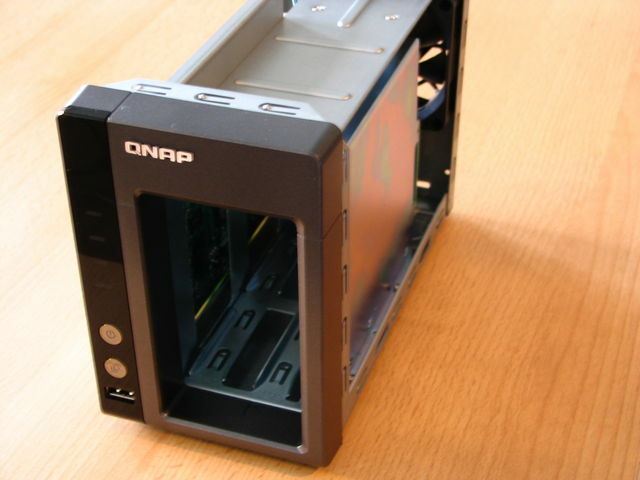 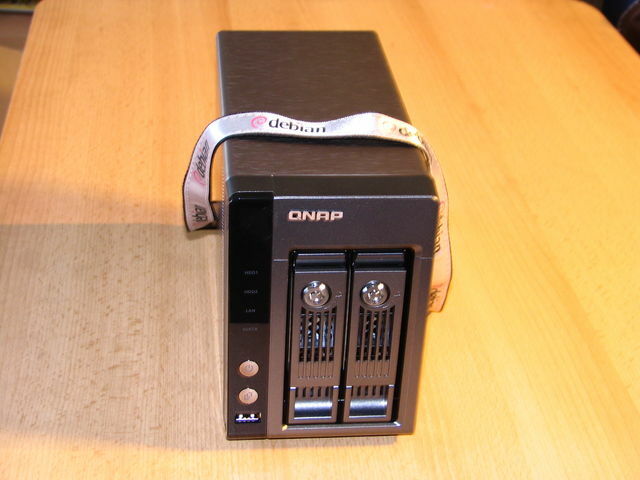 On the top is a QNAP TS-219, and below a QNAP TS-209. They look the same, but the TS-219 is much faster. 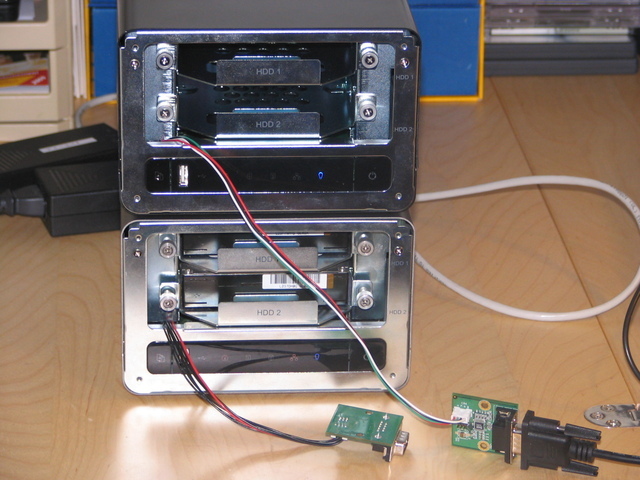 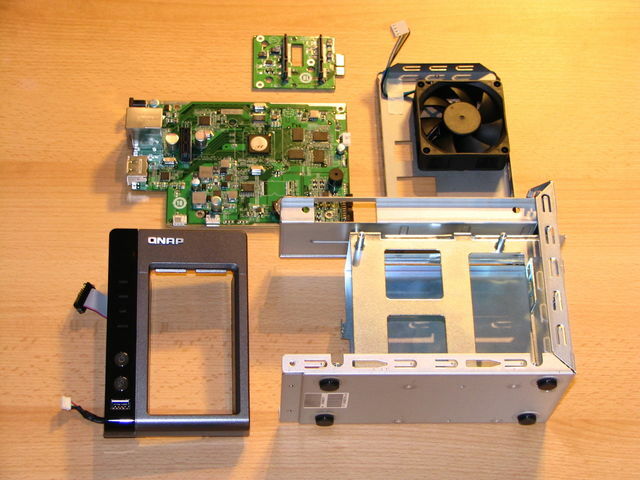 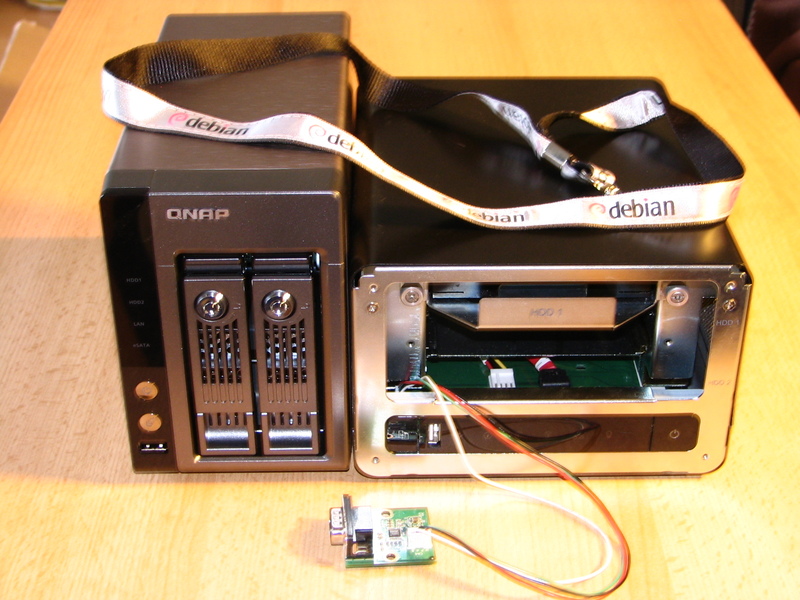 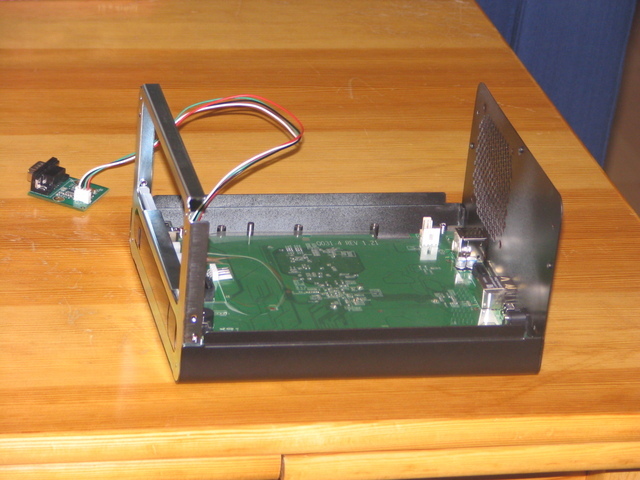 The device on the left is a QNAP TS-219P and on the right is a TS-219. 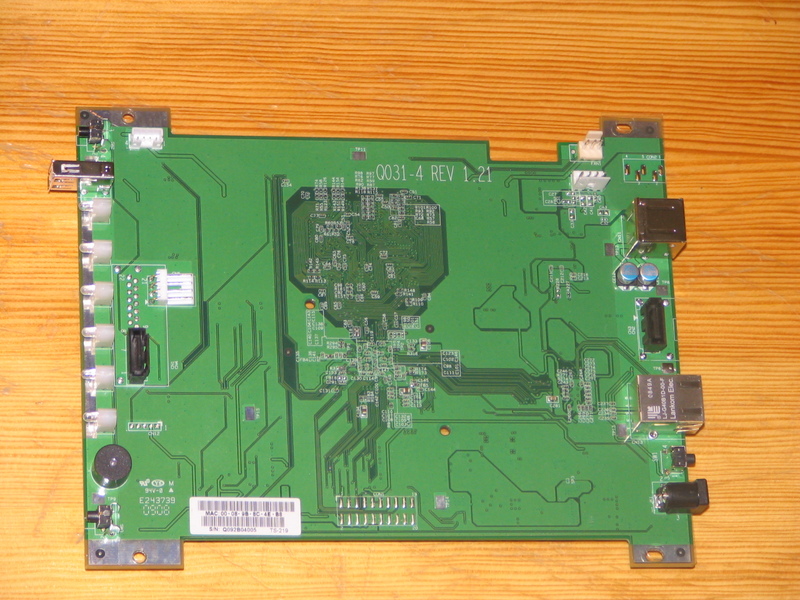 The main board of the QNAP TS-219, featuring a Marvell Kirkwood chip. You can see the serial connector on the upper left side. 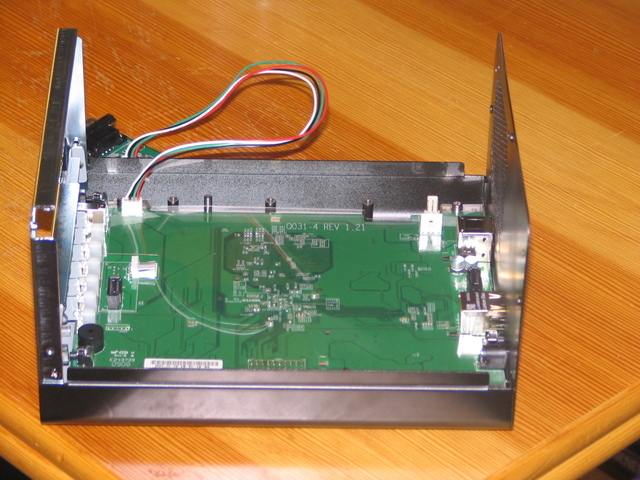 The TS-219 main board in the case, without the SATA cage. 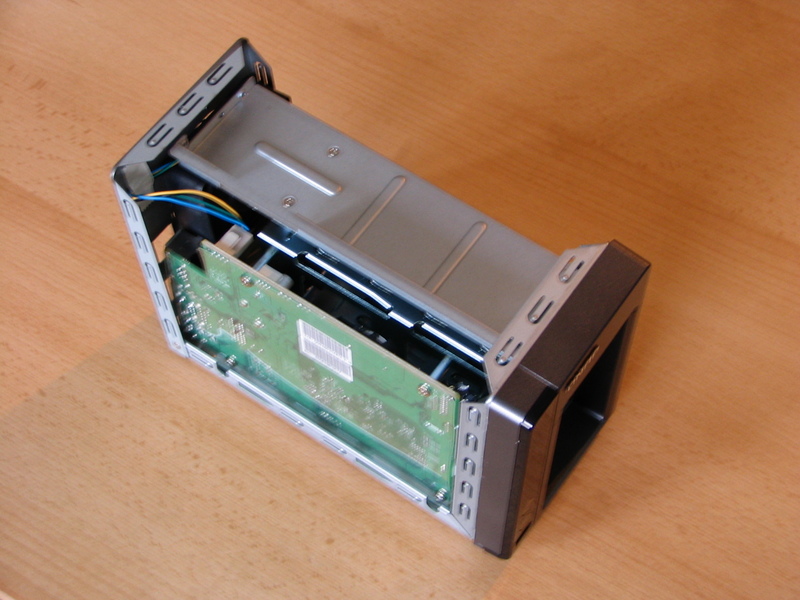 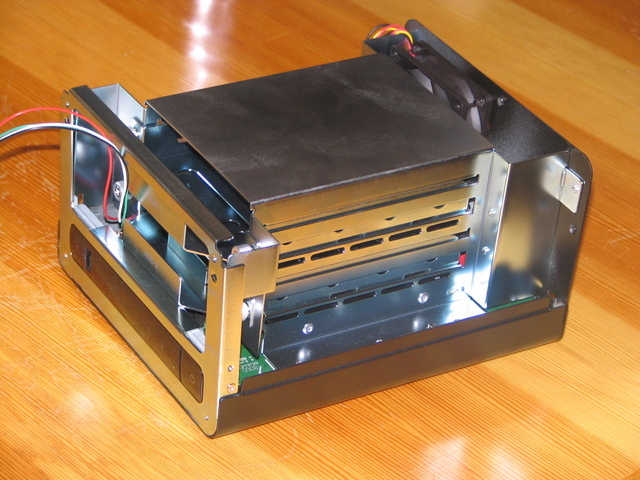 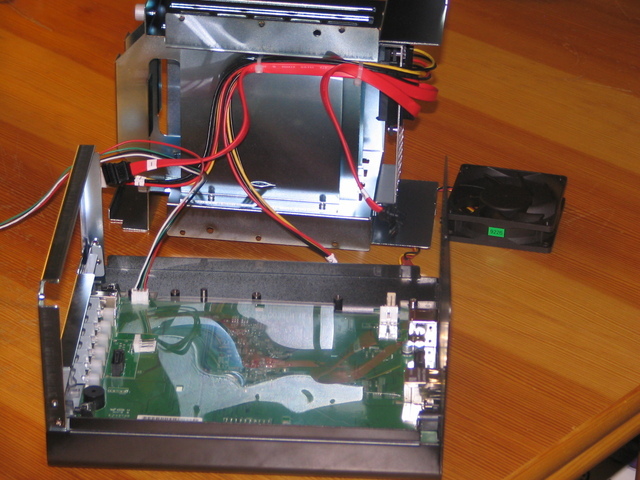 The SATA cage and fan. 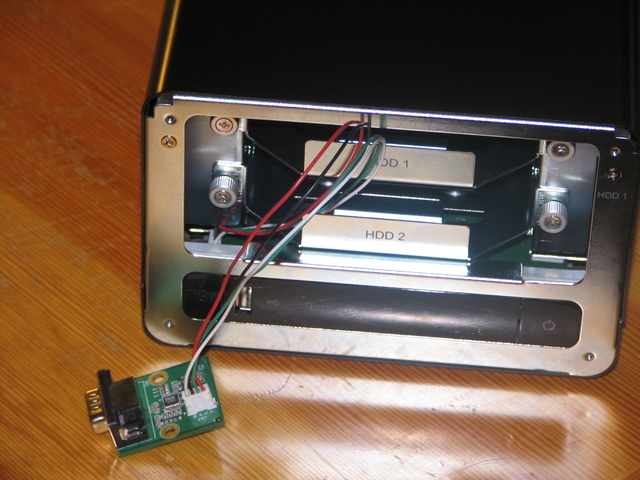 The TS-219 with the serial console hanging out at the front. 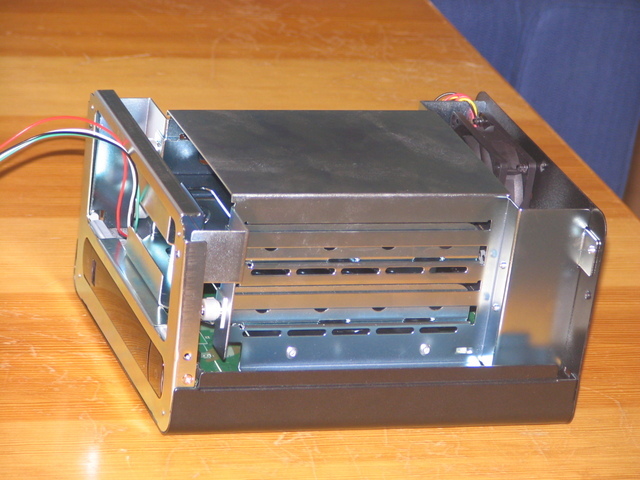 The TS-219P from the front. 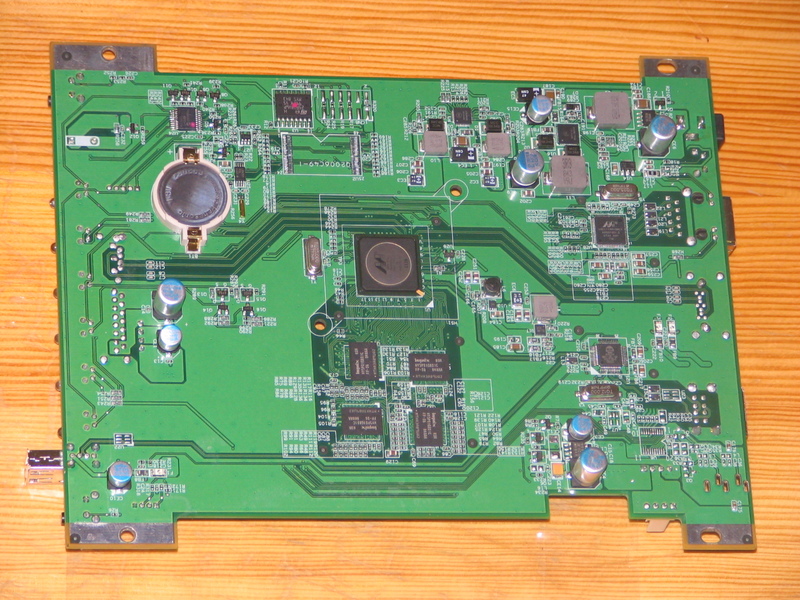 Another picture of the TS-219P. Open TS-219P showing the mainboard. 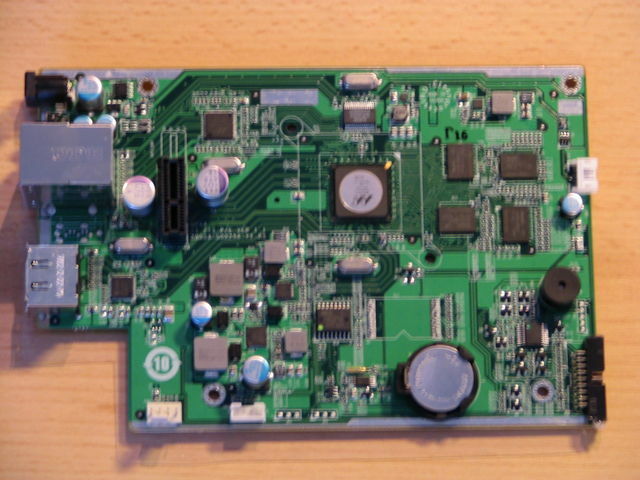 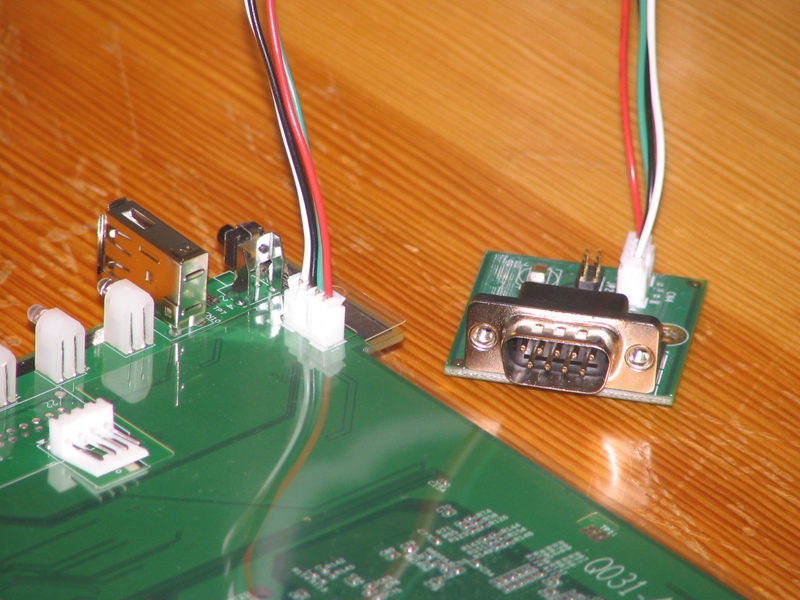 The mainboard of the TS-219P. All the components of the TS-219P.